Red tip photinia is a hedge growing shrub with bright red foliage and small white colored flowers that bloom in the spring months. 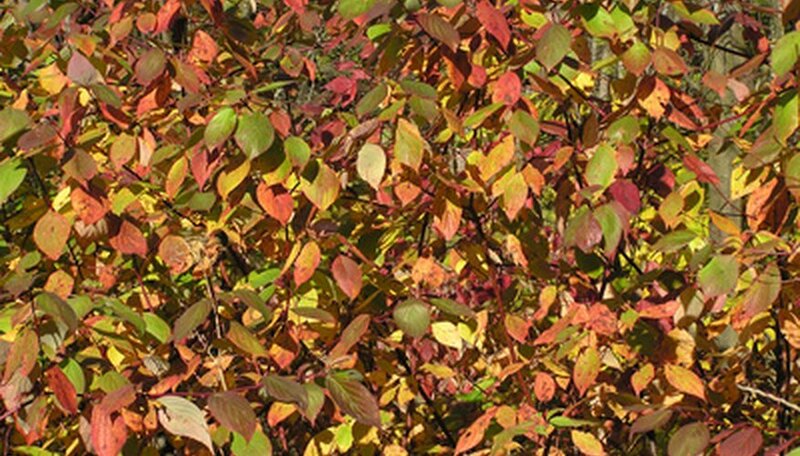 The foliage will change copper-red to dark green as it matures. The shrub is hardy to plant in USDA growing zones 7 through 9 where the winters are not harsh. Red tip photinia will grow to a height of 10 to 12 feet and requires pruning during the spring and summer months to keep the hedge shape. Select a planting location for the red tip photinia that is well draining and has full sunlight conditions. The plant will not tolerate a wet or soggy soil. Dig a planting hole that is twice as wide as the root ball and the same depth. Mix organic compost with the removed soil to increase the nutrient value and moisture retention. Place the plant into the hole and gently pack the soil mixture around the roots. Space the plants six feet apart. Water the red tip photinia generously after planting. Continue to water during the growing season when the soil becomes dry. An established plant is considered drought tolerant but will stay healthy when given supplemental water during dry periods. Fertilize young red tip photinia plants with a high phosphorus fertilizer to encourage root growth. Apply the fertilizer at the time of planting or shortly after. Fertilize established plants with an all purpose or low nitrogen fertilizer once a month during the growing season. Do not fertilize after the month of September. Prune the red tip photinia by cutting new shoot growth over 12 inches long to half their size. This will stimulate new growth to thicken the branch structure. Water and fertilize the plant after pruning. Propagate red tip photinia plants by taking stem cuttings during the mid-summer months. Dip the cut end of the stem in rooting hormone and stick it into a rooting tray filled with moist rooting medium. Place the tray in a location that is warm and offers indirect light. Transplant the cuttings to individual containers once roots are present.